They are located around the dial. As many as 38 carats, and only three of the stone. 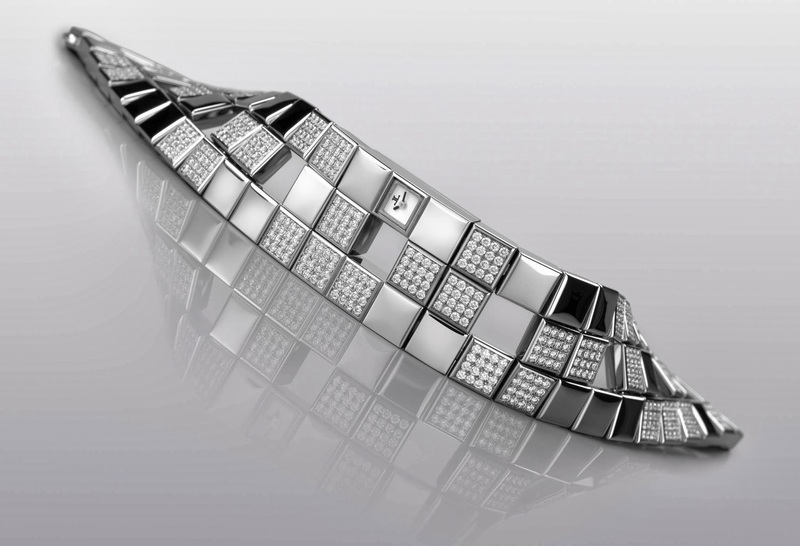 And if you add up all the jewels embedded in the amazing watch, the number is 200 carats. To be precise, the watch consists of 874 stones. How much is this wonderful thing? Only 25 million standard units, practically the most expensive jewelry in the world yours! As many as 26 million dollars worth swiss watches Joaillene Manchette. The world-famous brand Jaeger-LeCoultre created something incredible! Manual winding, white gold strap, 576 diamonds and 11 onyx crystals, silver dial and sapphire crystal. According to this description may seem, that the product must be too fussy and cumbersome. But this is not so. Experts have created an incredibly elegant, stylish decoration that holds in its arsenal all these jewels. Neat and tiny dial indicates severity, and perhaps that the owner of each activity is calculated by the hour. Minor amendment — the future owner. It is this miracle of the watch world no one has yet dared to buy. Of course, for the average person it is — one dream. Yes, and there are candles such purchases? It can be shown and their social status and position in society, and importance. But this is no human happiness can not give an accessory. Because of these unique products more suitable for the rich man, who wants something to decorate your favorite corner in his luxurious villa. After all, in everyday life no one would wear such a work of art. All of the above hours will definitely affect their design, uniqueness, functionality and amount of jewelry. But just imagine for a moment how you can create a single instance of a long five years? To live in this work … These clocks are constantly creating not just men of genius, but perhaps from another world, unknown to us, as the townsfolk.